This story is set in East Germany in 1968 when, with the Soviet Union under the leadership of Mikhail Gorbachev and nuclear arms negotiations taking place and glasnost and perestroika on the horizon, it seems that the Cold War may finally be ending. Except in East Germany (the DDR) where the grip of the communist authorities and the Stasi is as steely as ever. They have, after all, much to lose should the regime change. It is to Berlin, capital of the DDR (the then capital of West Germany was Bonn), that British intelligence officer, Tom Fox, is sent. His mission is to bring back to the UK the elderly Cambridge classics professor, Sir Cecil Blackburn. Apparently, Blackburn, who had defected to East Germany years before to escape a scandal, had asked for Fox in particular, but why? Fox’s wife Caro’s father, Lord Eddington, a member of the then Prime Minister Margaret Thatcher’s government, makes it clear to Fox that the scandal which led to Blackburn’s defection involved serious offences against young boys. And Fox had been one of those boys. 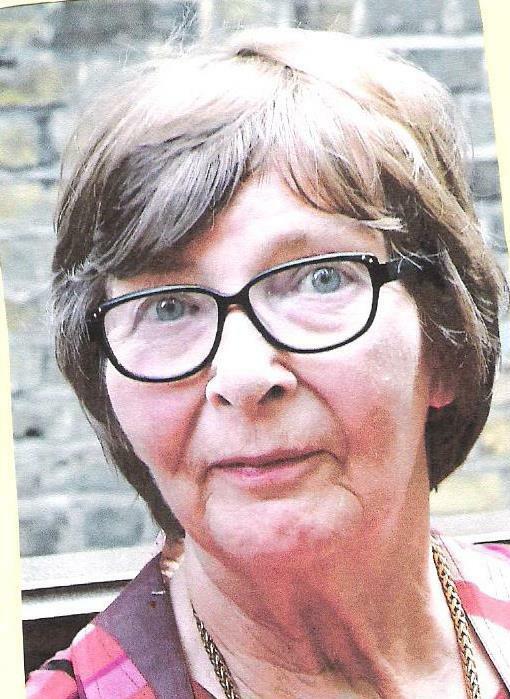 But Caro doesn’t know this, nor does she know just what Fox had done when working undercover in Belfast. All this, coupled with the suicide of their daughter Becca leaving them only their beloved son Charlie, means that Fox is in perpetual psychological turmoil. 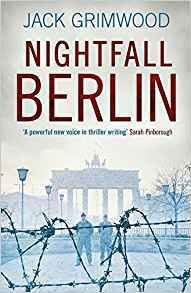 Berlin is full of danger increase that turmoil, particularly when Sir Cecil and his minder/mistress Frederika are found brutally murdered. Fox is in danger but from whom? The Stasi? The KGB, still intent, despite glasnost and perestroika, on maintaining control on everyone and everything? Or the British establishment? A complicating factor is the arrival of Blackburn’s daughter Amelia. Why is she in East Germany? Fox has to go on the run; he manages to find help in unlikely quarters but some of those who help him pay a heavy price. The story has some interesting parallels with the present day. We all know who served his time with the KGB (now the FSB). And in the UK the cover-ups which hid the instances of truly shocking sexual abuse for so long are only now being uncovered. Jack Grimwood, aka Jon Courtenay Grimwood was born in Malta and christened in the upturned bell of a ship. He grew up in the Far East, Britain and Scandinavia. 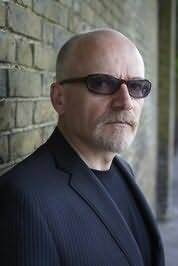 Apart from novels he writes for national newspapers including the Times, Telegraph, Independent and Guardian Two-time winner of the BSFA Award for Best Novel, with Felaheen, and End of the World Blues. His literary novel, The Last Banquet, as Jonathan Grimwood, was shortlisted for Le Prix Montesquieu 2015. His work is published in fifteen languages. He is married to the journalist and novelist Sam Baker. Moskva is his first thriller.